Schools can play an important roll in your Real Estate decisions. And the Scottsdale, AZ School system has a large amount of choices. In order to better provide you with information on your Scottsdale real estate purchase. I have provide links to some of the area's Schools, School Boards, and other educational links. Please use the helpful links below during this important decision making process. As well, visit our homepage for more Scottsdale Real Estate information and helpful links. Please use the links below for schools Contacts and Information. Scottsdale County Schools - Welcome to the website for the Scottsdale, AZ Schools. Our school system serves over 60 public schools and 26 private schools located in and around Scottsdale, Arizona..
Local School Directory - Scottsdale Schools, Public & Private Schools in Scottsdale, Arizona. 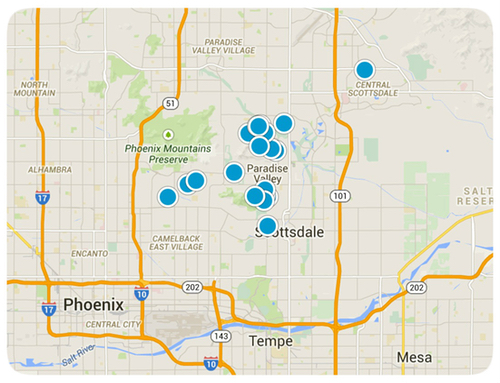 RealScottsdaleHomes can help you find personalized information about the education systems in the Scottsdale area.